While the use of third-party cloud services is becoming the model of choice, business units and IT organizations still rely heavily on on-premises or colocation-hosted clouds. 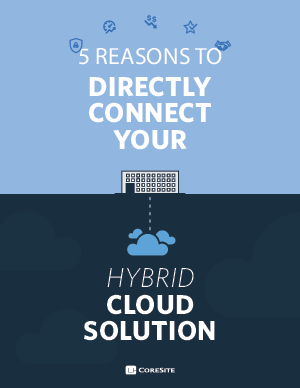 But a new approach is gaining popularity for the hybrid cloud solution. The problem is that spreading core business services, application development and data across a hybrid cloud environment multiplies complexity – for security, infrastructure reliability and resiliency, vendor management, application visibility – and creates a new level of pressure and possibilities for digital business. What’s the best way – when it comes to security, performance and reliability – to connect to our clouds? How do we control costs for data transfer and networking? Global spending on big data solutions via cloud subscriptions will grow almost 7.5 times faster than on-premises subscriptions between now and 2021. And by 2021, new data center buildouts by service providers are predicted to outpace enterprise build outs by 2.5 to 1.